The team at k20 recently attended the Melbourne Design Awards night at Higher Ground on Little Bourke Street. 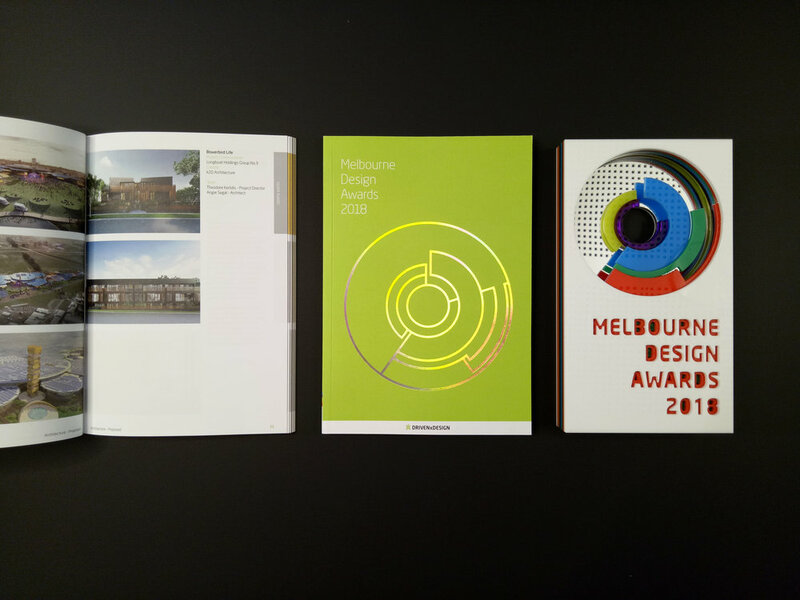 We were so humbled to bring home 5 Melbourne Design Awards across 4 different categories and would like to thank our clients who believed in us to deliver great design outcomes for their projects and the people who voted for our designs. Bowerbird Life Apartments sets to create eco-centric living; a new paradigm for apartment living. Made by Architects leading Development our purpose is to leave our City in a better shape! Bowerbird Life was featured in the 2018 Denfair Magazine and the Article discusses the vision of the project as well as the role Architects can play in shaping our City. Importantly than ever, the time is now to change the machine for living to creating homes for Life. k20 Architecture and #longboat Director Theo Kerlidis alongside Prof. Michael Buxton and Tamsin O’Neill (editor of Green Magazine) were discussing the vision behind BowerbirdLife and how we can all get involved in creating a future sustainable and liveable Melbourne. When 5 of our projects were shortlisted for the Melbourne Design Awards we were really excited. When the winners were announced on the 17th of May, 2018 we were humbled to learn that so many of our projects were bestowed the honour of winning an award. Thanks to everyone who rated our projects, we appreciate the support from our clients, suppliers and friends of the Practice. Click the links below to learn more about our award-winning projects. The Hindmarsh Shire Council Offices in Nhill were awarded a GOLD Award in the Environmental Design Award and the Williamstown Town Hall Restoration won GOLD in the Interior Design Category. In the Public & Institutional Architecture category, we were recognised as SILVER winners for our Southmoor Primary School project and McKenzie Street Aged Service Centre. BowerBird Life Apartments was bestowed the SILVER award in the Proposed Architecture category. 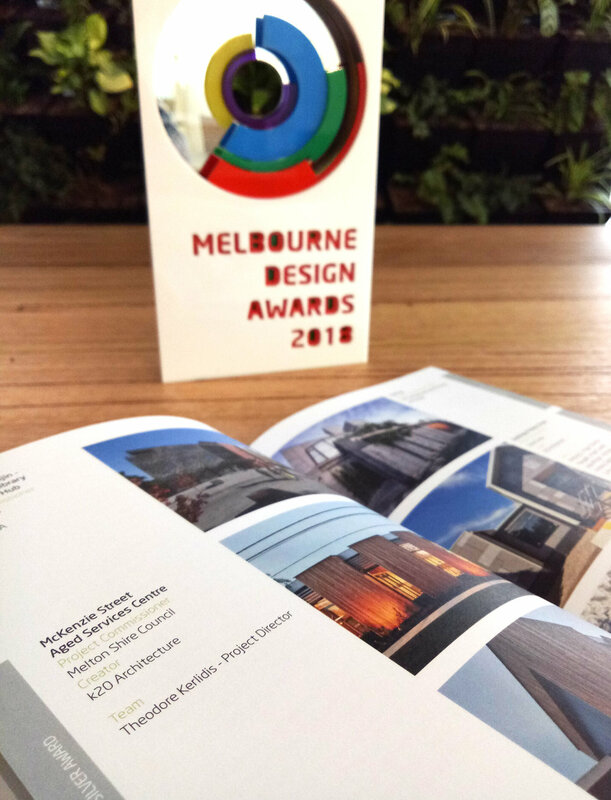 The Melbourne Design Award ceremony will be held on the 3rd of July at Higher Ground and the k20 team are looking forward to celebrating this achievement with the other Award winners. This week k20 Architecture Director Theodore Kerlidis presented at the 2018 WoodSolutions - Essential Exterior Timber Design Seminar held at Library at the Dock in Docklands. Last year k20 Architecture Director Theodore Kerlidis visited RMIT University studio as a speaker on Stephen Crafti's radio program RMIT Talking Design. Construction continues to progress well despite the recent wet weather at our Wantirna South Children’s Centre project for Knox City Council. Construction of The Basin Primary School was officially celebrated this morning with the turning of the first ‘soil’. 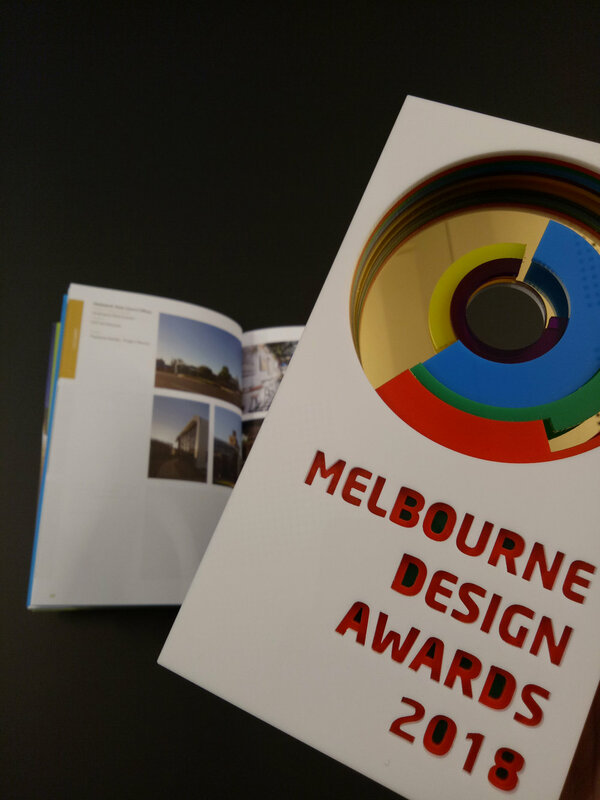 Last night team k20 attended the 2017 Melbourne Design Awards Presentation night which celebrated the very best of design and innovation in Melbourne. The latest works at our new office in South Melbourne, Victoria, Australia included repairing and restoring the 60 year old windows and putting in high performing double glazing acoustic rated glass to the new building. We are happy to announce that we have been shortlisted and are in the running for the 2017 Melbourne Design Awards, Architecture- Proposed category for our Eternity Apartments project. Our McKenzie Street Aged Services Centre was officially opened by the City of Melton this week. Last night we attended Doltone House, Sydney which was full of architects, designers and builders as part of the 2016 BPN Sustainability Awards presentation. On August 8 Ballarat Regional Soccer Facility was announced a Finalist in the 2016 Australian Timber Design Awards, Excellence in the Use of Timber Products Cladding category. 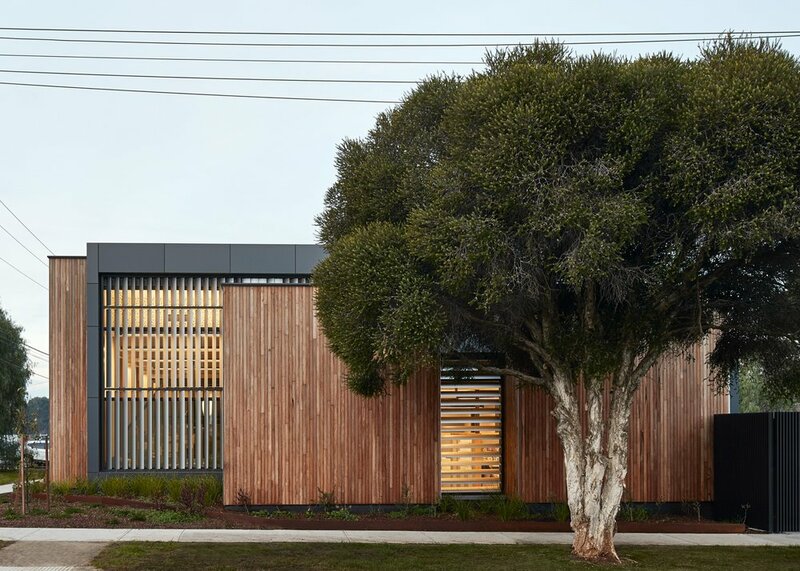 On Thursday 18th September k20 Architecture were awarded winner of the People’s Choice Award for our Hindmarsh Shire Council Offices project at the Australian Timber Design Awards in Sydney.